Like the Gophers’ Trevor Mbakwe, Laurence Bowers tore his ACL early in the year last season, and like Mbakwe, Bowers received an extra year (his fifth) from the NCAA to come back and spend another year with Missouri. But unlike Mbakwe, Bowers has already found his place in the Tigers’ starting lineup and figures to be a major force this season. Mbakwe has come off the bench for the Gophers in all four games this season and coach Tubby Smith has said he doesn’t see “any reason” why he would put the forward in the starting lineup with his current starting five – that brought the team to the NIT final last season – clicking. 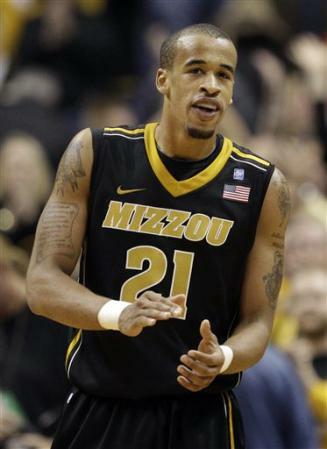 Haith held out Bowers when the team played in Europe over the summer, but in the preseason the forward stood out. The difference, of course, with the Bowers scenario is that Missouri had just one starter returning to the lineup from last year’s successful NCAA tournament squad, so regardless the lineup was shifted a lot and a new style adopted. VCU experimented with Navy Seal training over the summer, and one of the more memorable experiments was what the players called “the ice boat.” A rubber boat with three planks across was filled with ice and water (mostly ice, Troy Daniels said). Players had to dive into the boat and go under each plank and come up after each for a breath. The team was able to practice in Imperial Arena for the first time on Wednesday morning after getting in around Midnight the night before. “It’s a lot smaller than I thought it was going to be and a lot darker, but it’s a pretty nice court and I think the atmosphere will be real fun to be in,” Rodney Williams said.